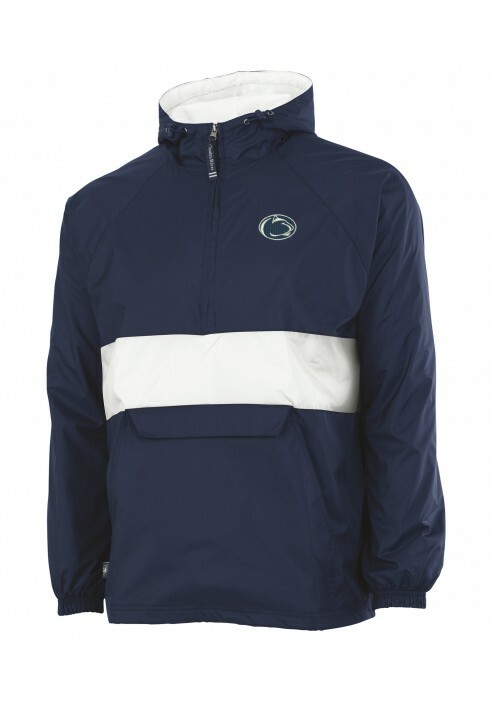 • Men's Penn State jacket by Charles River. 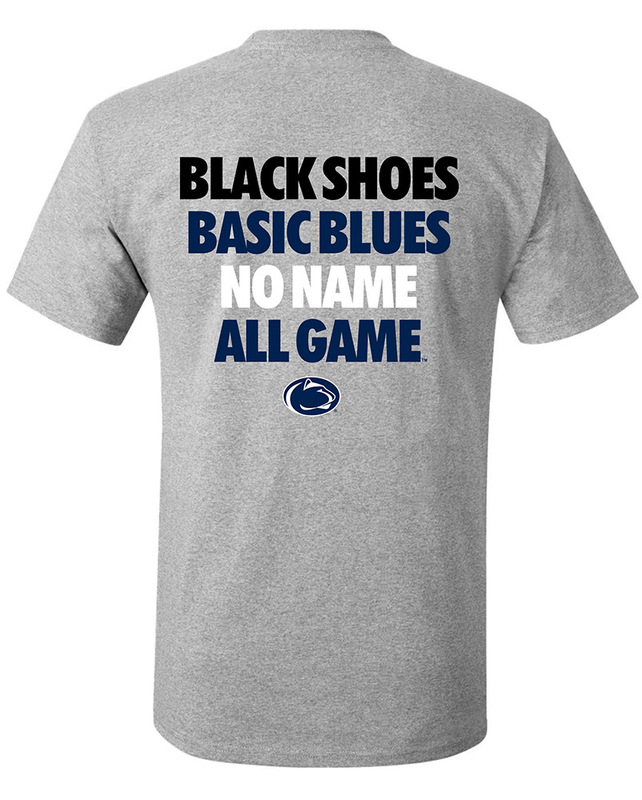 • Embroidered Nittany Lion applique sewn on left chest. • White horizontal stripe across middle. • Pouch style front pocket with velcro closure. • Toggle style elastic drawstring on hood. • Shockcord drawstring on hemline. • Extended zipper for wind protection. • 100% Nylon shell, 100% Cotton lining.